This plant stand is antiqued Wire and is approximately 3 1/4" High X 2 1/4" in diameter. Pots (Sold Seperately) & greens not included. 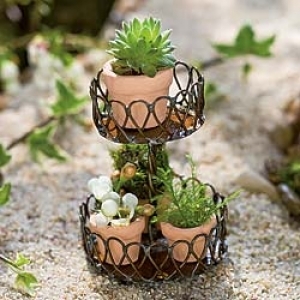 Mini Plant stand only! Great addition to your Fairy Garden.